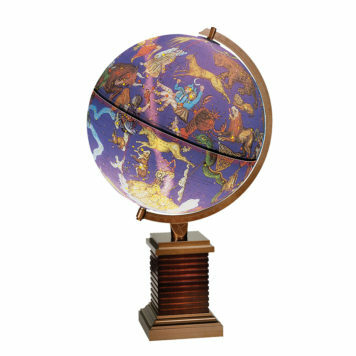 In 1911, Frank Lloyd Wright created designs for Booth Park in Glencoe, Illinois. 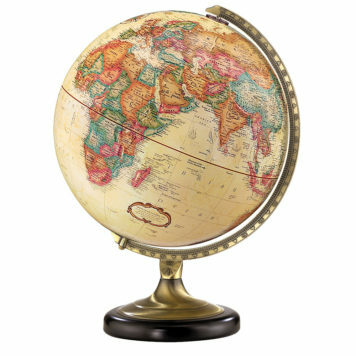 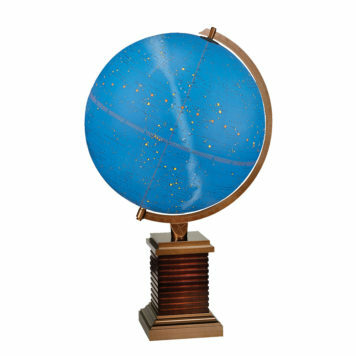 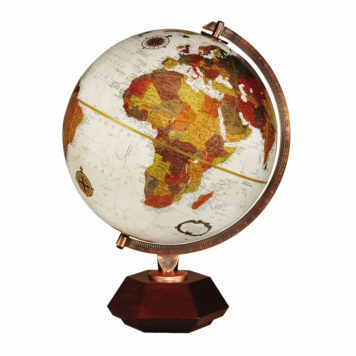 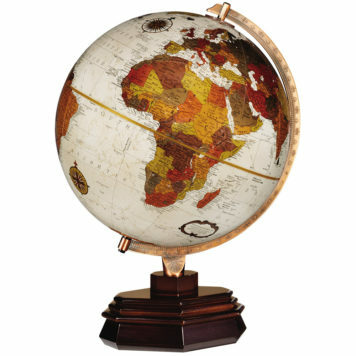 The design of the Glencoe Constellation Globe stand is adapted from a large brick pedestal designed for the park. 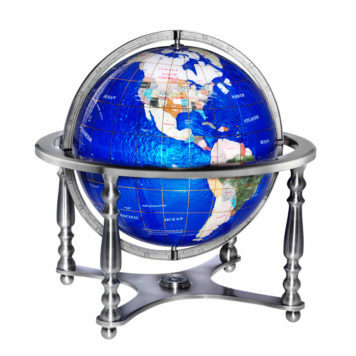 The stand combines walnut color stained hardwood with die-cast top and bottom plates. This illuminated globe shows stars, constellations, and nebulae when not lit. Turn the light on and witness the luminous beauty of approximately 70 celestial images.